CLEARWATER, Fla. – The former U.S. solicitor general under President George W. Bush will serve as the debate partner for Republican vice presidential nominee Paul Ryan, the Romney campaign announced with just three weeks to go before the only vice presidential debate before the November election. Ted Olson has argued 58 cases before the Supreme Court, including a case that put him at odds with many Republicans: overturning the state of California's ban on gay marriage, known as Proposition 8. Olson was originally highly praised at the start of the decade by the Republican Party as he successfully argued Bush v. Gore --the ruling that determined the outcome of the 2000 election -- before he was selected as Bush’s solicitor general. “Mr. Olson is one of the most skilled, intelligent, and successful litigators in America -- just the kind of opponent needed to prepare the Congressman for Mr. Biden,” Ryan spokesman Brendan Buck said. Olson will join Rep. Ryan for preparations leading up to the Oct. 11 match up with Vice President Joe Biden in Danville, Ky. The campaign says Olson and Ryan had one practice session this past week. “Joe Biden has been in elected office for more than 40 years. There are few people in politics with more experience debating the issues than Joe Biden, so we are taking this process seriously,” Buck said. Ryan held his only full day of debate prep in Oregon last Sunday but Olson did not join. Saturday morning’s announcement of Olson is the final debate partner to be released. President Barack Obama has John Kerry (D-Mass.) standing in as Mitt Romney, while Romney has picked Ohio Sen. Rob Portman to play Obama. Rep. Chris Van Hollen (D-Md.) will aid Biden with his debate prep and play Ryan. Van Hollen and Ryan serve on the House Budget Committee together. 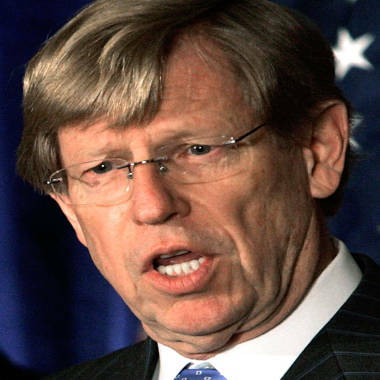 Former Attorney General John Ashcroft told the Romney campaign of the selection that "Ted Olson possesses the extraordinary intellect, judgment, and character to be a strategic asset in any endeavor. Few lawyers have prevailed in as many of the country's most challenging battles to protect our national interest as Ted has. I, along with many other conservatives, welcome his increased participation in the Romney campaign."